Pinterest – Cross dressing testosterone style! 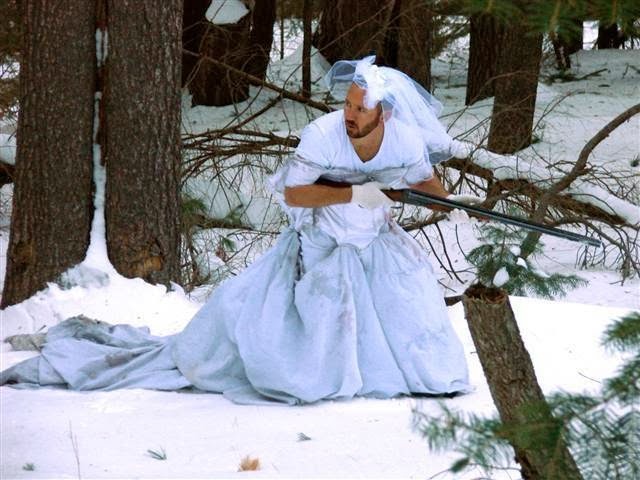 This guy is posting ways to make his ex-wife’s wedding dress useful. Most aren’t that funny but this one makes me laugh. You know it will be the one time he rolls down a steep incline and has to get the search and rescue to fly him out. I really wanted to come up with a caption for these two but I can’t do it. Any suggestions?